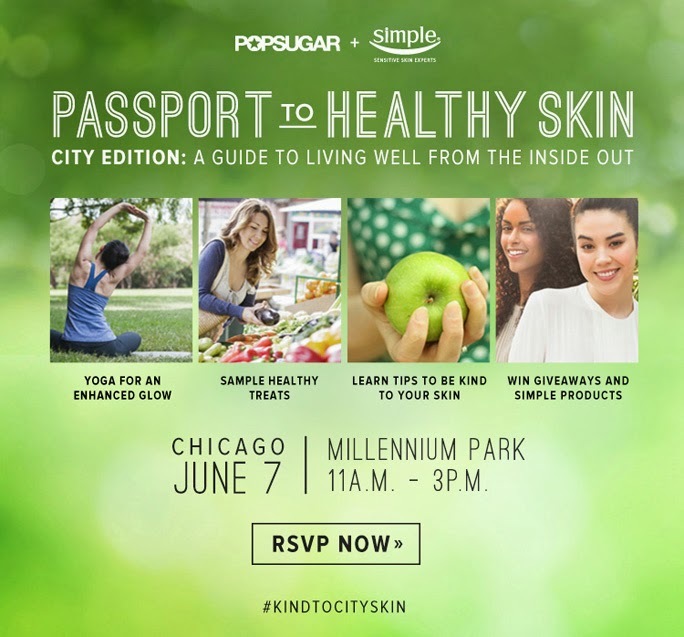 The Yoga Life Chicago: THIS Saturday- PASSPORT TO HEALTHY SKIN TOUR! THIS Saturday- PASSPORT TO HEALTHY SKIN TOUR! Guests will have the opportunity to partake in various FREE activities that promote healthy living such as yoga sessions, de-stress massages, sampling healthy recipes, testing out Simple's skin care products AND will leave with a FREE goodie bag of products!